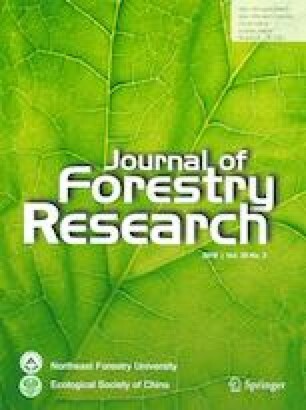 Atlantic forest natural soil flora was tested on two leguminous pioneer species Acacia gummifera and Retama monosperma to be used in rehabilitation programs of the coastal sand dunes forest of the Essaouira region. The rhizospheric soil of two endemic plant species: R. monosperma and Juniperus phoenicea was sampled and split into two categories, one from native rhizospheric soil, the other of the sterilized rhizospheric soil. Investigation was focused on mycorrhizal formations, but other forms of beneficial symbiosis such as rhizobia and viable soil microflora were also studied. Growth and nutrition variables assessed included lengths of roots and shoots, number of branches, ratio of root to shoot dry mass and water, nitrogen and phosphorus levels. Results showed important mycorrhizal associations in roots of both plants, presence of nodules and abundance of viable soil microflora. J. phoenicea had a 100% frequency of mycorrhizal formation and an intensity of 80% compared to a frequency of 80% and intensity of 54% for R. monosperma. Nodules had the same density of CFU regardless of the origin. Abundance of viable microflora in rhisospheric soil of R. monosperma, J. phoenicea and the control differed significantly. Among the studied variables for A. gummifera and R. monosperma, nitrogen and phosphorus uptakes significantly wit the use of the nonsterilized rhizospheric soil. Both species doubled their phosphorus uptake when colonized by mycorrhizal species, R. monosperma doubled its nitrogen uptake and A. gummifera increased it by seven times compared with the control. No significant difference was noted for the other variables. This work was supported by the Cadi Ayyad University and “Laboratoire Ecologie et Environnement (L2E)” an associated unit to the “Centre National de la Recherche Scientifique et Technologique (CNRST)” URAC32.